At Monash we want every student to develop a conceptual understanding of the knowledge, skills and understandings associated with the Mathematics curriculum. 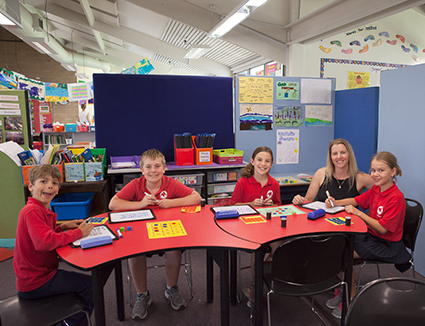 We have a whole school scope and sequence which is aligned with the Australian Curriculum and have created learning intentions which reflect different levels of cognitive behaviour. These include, applying knowledge, analysing, comparing, synthesising, reflecting and explaining concepts using mathematical vocabulary, through a problem solving lens. Teachers and students are focusing on the critical thinking behind Mathematics, not just the correct answer!